The Blue Whale Has Been The Biggest Animal (~30m) To Ever Live. 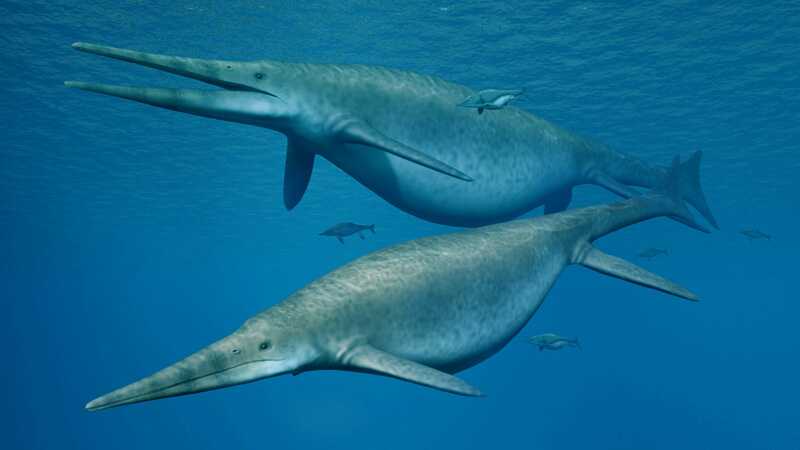 But Recently, The Jaw Bone Fossil Of An Extinct Reptile, Ichthyosaurs (~205 Myrs Old), Indicates The Reptile (~26m) Could Almost Compare In Size To The Blue Whale. Ichthyosaurs Made Their First Appearance In The Triassic And Went Extinct At The End Of The Dinosaur Age. Paleontologists working along the UK’s southwest coast have unearthed a 205-million-year-old jawbone that belonged to an absolutely enormous species of ichthyosaur, a very successful group of aquatic reptiles. At approximately 85 feet in length, these monsters were one of the largest animals to have ever appeared on Earth.